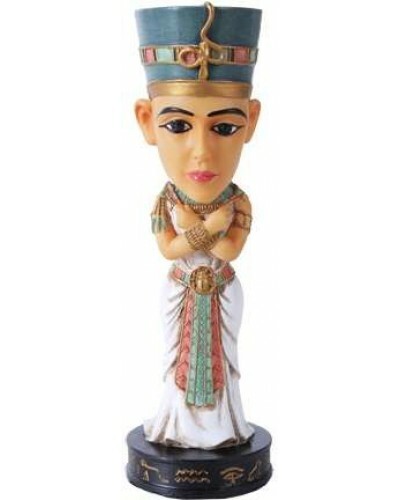 Adorable Egyptian statue of Nefertiti Egyptian Queen has a bobble head. 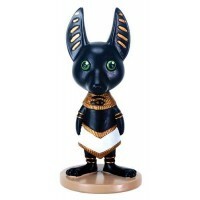 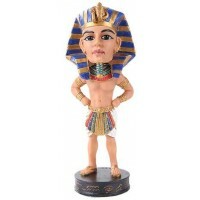 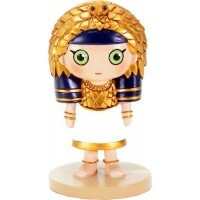 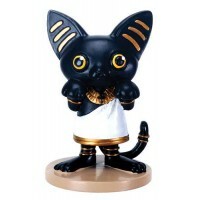 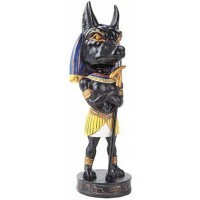 These Egyptian Bobbleheads are so fun and adorable! Great for in your car or anywhere! 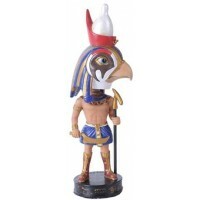 Stands about 7 inches tall. 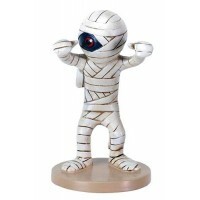 Cold cast resin with hand painted color detail. Item Number: PT-11336 | Approximate Size (Inches): 2.50 wide x 2.00 deep x 7.00 high | Approximate Shipping Weight: 2.00 lbs.